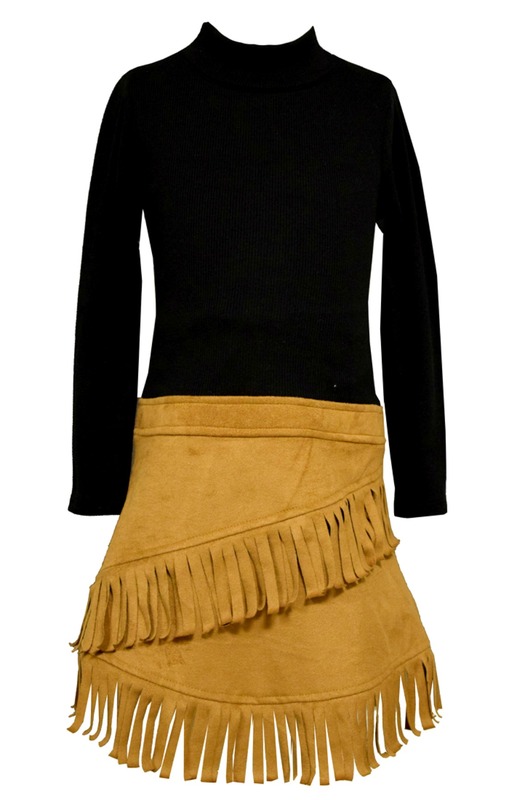 Brand new from Bonnie Jean this fabulous rib knit long sleeve dress features faux suede fringed skirt for the look of two pieces. Zips at back neck. Machine washable.